We had a great day at the garden on August 7th, out working early, tidying up the plants and helping them through this summer heat, and then inside to learn about the care and feeding of fig trees, a (relatively) easy and delicious plant we can grow out here in north Texas. “Fig Fest” was the third in our series, “A New Crop of Classes.” Entertaining, informative, inspirational, flavorful and delicious were just some of the comments we heard from those who attended…77 to be exact. Jeff Raska, our Dallas County Horticulture Program Assistant, Texas A&M AgriLife Extension Service, shared the biology, history, and how-to’s of growing figs locally, and Lisa Centala shared nutritional information about figs, which are a great source of dietary fiber and vitamins K and A.
Figs: You can love them to death. Figs love poor soil, but keep it well-drained and water consistently. You can even raise the bed a bit when planting with compost and mulch. Don’t add nitrogen – it will cut back fruit production. Figs are a Mediterranean plant and want no more than 800 chill hours. We are about as far north as we can be and still grow figs, which means the plant may die back in the winter. Allow your fig to have several trunks, and don’t worry if one or all die back – it will come back in the spring. In fact, don’t trim the dead wood away until the leaves come back in spring so you know which branches are really dead. There are two varieties of fig trees: those that are everbearing, and those that bear once a season. Texas Everbearing (or Brown Turkey) will give an early crop in late spring/early summer, and the rest of the fruit will ripen from June through August. Celeste is also a recommended variety for our area, but it’s “one and done.” Celeste gives one crop a season but is a bit more cold-hardy than Texas Everbearing, which is why we chose this variety at Raincatcher’s. Harvest your figs when they’re ripe (they have a little give when you squeeze them), because they won’t ripen off of the tree. And eat them quickly! They’ll start to ferment in just a couple of days. 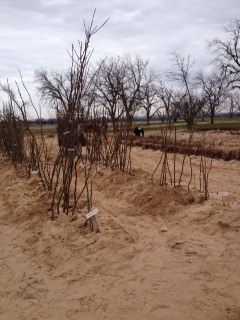 For more information on cultivating figs, please visit this Aggie Horticulture site. Make the crust: Pulse flour, granulated sugar, and ½ teaspoon salt in a food processor until combined. Add butter, and pulse until mixture resembles coarse crumbs with some larger pieces remaining, about 10 seconds. Drizzle ¼ cup ice water evenly over mixture. Pulse until mixture just begins to hold together (it should not be wet or sticky). If dough is too dry, add more water, 1 tablespoon at a time, and pulse. Press dough into a disk, and wrap in plastic. Refrigerate until firm, about 1 hour or overnight. Roll dough to a 14-inch circle (⅛ inch thick) on a floured surface. Fit dough into bottom and up sides of a 10-inch fluted round tart pan with a removable bottom. Trim excess dough flush with edges of pan using a knife. Refrigerate until firm, about 1 hour. Preheat oven to 350˚F. Prick bottom of tart shell all over with a fork, and fill with pie weights or dried beans. Bake for 30 minutes. Remove weights, and bake until set, about 5 minutes more. Let cool. Leave oven on. Make the Filling: Pulse hazelnuts in a food processor until finely chopped. Add sugars, zest, and ¼ teaspoon salt; pulse to combine. Add butter, Armagnac, eggs, and vanilla; pulse until mixture is almost smooth. Spread filling evenly into tart shell. Top with figs and strawberries. Bake for 30 minutes. Reduce oven temperature to 325˚F; bake until set and dark brown on top, about 1 hour more. Garnish with whipped cream. Saba is an ancient sweetener traditionally made from freshly squeezed grape juice, known as must. It is basically a sweet grape syrup. Order online or purchase at specialty grocers. After opening, refrigerate up to one year. Bring 4 cups water to a boil in a large saucepan. Stir in first 2 ingredients, and cook, stirring occasionally, 5 minutes; drain. Return rice to saucepan; stir in milk and next 4 ingredients. Bring to a boil over medium-high heat; reduce heat to low, and simmer, stirring occasionally, 45 minutes or until thick. Remove vanilla bean. Remove from heat, and transfer to a glass bowl. Let stand 1 hour, stirring occasionally. Cover and chill 8 hours. Spoon into serving dishes; top each with figs and a drizzle of Saba. Put all ingredients in freezer container. If the figs are very ripe, you may not need as much sugar as called for. Add whole milk to level freezer calls for to ensure proper freezing. Freeze in a 6-quart freezer according to directions. Note: In the dessert picture there is a grilled fig spread with a dollop of mascarpone cheese and a drizzle of honey. No recipe just buy and prepare! *Our fourth and final class of 2018 is scheduled for Tuesday, October16th. Apples, Pears, Persimmons and Pomegranates promises to be a another educationally inspiring class. And following Jeff Raska’s presentation; don’t miss a bountiful lunch buffet filled with seasonal flavors. Information about the class will be posted on this blog in early September. Posted in Fig Tree and tagged Dallas County Master Gardener, Dallas County Master Gardeners, Dallas Farm to Table, Edible Landscape, Fig Recipe, Fig Tree, fresh figs, growing figs in Texas, The Raincatcher's Garden, vegetable gardening. Bookmark the permalink. With their sweet taste and luscious texture, figs can be used in a variety of culinary dishes. From growing to harvest, we’ll give you the information needed to become a fig expert. Join us; class will be indoors and luncheon reservations are still being taken. 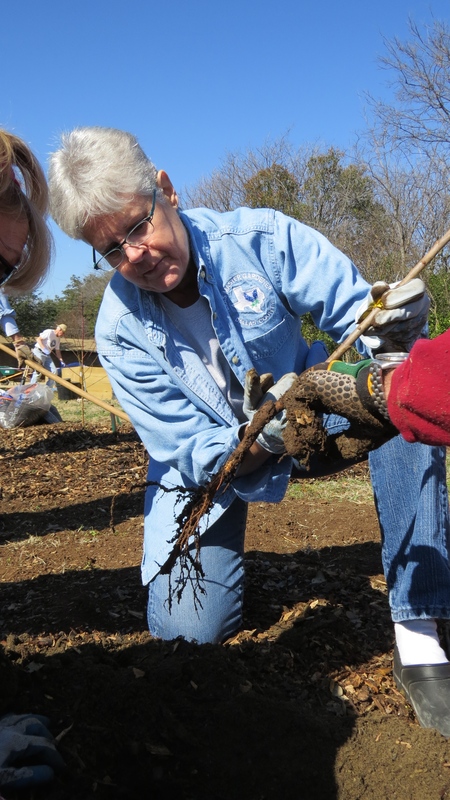 Master Gardeners earn one-hour education credit; class is free. Immediately following Jeff’s presentation, you are invited to join us for lunch. Lunch is by reservation only. Class and Lunch are indoors at Midway Hills Christian Church and lunch reservation deadline has been extended to Friday, August 3rd. Posted in Education at Raincatcher's and tagged Dallas County Master Gardener, Dallas County Master Gardener Association, Dallas Farm to Table, Fig recipes, Fig Tree, garden recipe, growing figs in Texas, The Raincatcher's Garden, vegetable gardening. Bookmark the permalink. Update on the July 24th Grape Balls of Fire event-we will be indoors, it’s too hot to be outside in our garden and reservation deadline has been extended to Sunday, July 22,2018. Preheat oven to 400˚F. Line a baking sheet with aluminum foil. Mix cream cheese and Cheddar cheese together in a bowl until evenly blended. Fill each jalapeño half with the cheese mixture. Put halves back together and wrap each stuffed pepper with a slice of bacon. Arrange bacon-wrapped peppers on the prepared baking sheet. Heat 1 Tbsp oil, add the onion, and sauté over medium heat until soft. Add the tomatoes, and cook until the tomatoes are soft, about 15 minutes. Put the remaining 2 Tbsp oil, basil, garlic and vinegar in blender and blend. Add the tomato mixture to the mixture in the blender. Blend until smooth. *For a fun presentation, cut off the tops of a Campari tomato and scoop out the insides. Fill with soup and garnish with a basil leaf. *Using the mini-ice cube molds (they hold 2 tsp each), the above recipe will make 24 popsicles. Whisk together cornmeal, flour, cornstarch, baking powder, salt and cinnamon; set aside. In a food processor or blender, whiz cinnamon basil leaves and sugar until leaves are finely ground. Transfer to a medium bowl; add butter and vegetable shortening. Beat on high speed until light and fluffy. Scrape down sides with a spatula and add egg yolk, half-and-half and vanilla; beat until combined well. With mixer running, slowly add flour mixture until combined. Scoop out heaping teaspoons of dough onto parchment paper-lined baking sheets, placing them 2 inches apart. Bake 10 to 12 minutes, until golden. Remove to racks and let cool; dust with confectioners’ sugar before serving or storing, if desired. Store in an airtight container. Posted in Recipe and tagged Dallas County Master Gardeners, Dallas Farm to Table, Edible Gardening, Edible Landscape, Fig Tree, Grapes, growing grapes in Texas, The Raincatcher's Garden, vegetable gardening. Bookmark the permalink.